MIDEL 7131 has been used over the years in many marine projects, from offshore oil rigs to military vessels and cruise liners. One such example of the use of MIDEL is onboard the Holland America Line fleet of cruise liners. These ships can carry around 2000 passengers and were manufactured by the Fincantieri Marghera shipyard, in Italy. 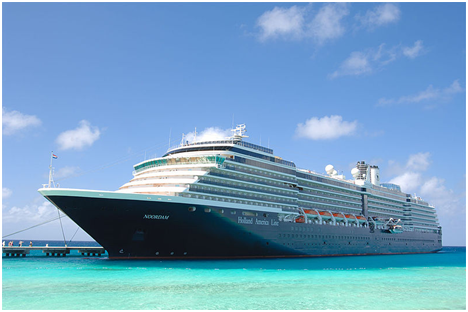 The history of using MIDEL in these ships goes back to the MS Amsterdam, built in 2000, and most recently MIDEL was installed onboard the MS Nieuw Amsterdam in 2009. These ships house a range of transformers from 16MVA down to 4.4MVA. The larger 16MVA transformers onboard are used for propulsion purposes, taking the power from diesel motor generator sets and feeding into ABB Azipod propulsion units. These transformers see continuous service and their reliability is paramount to ensure that, in the very worst case, a ship is not stranded at sea. The smaller transformers filled with MIDEL are used for distribution purposes, since the cruise ships operate as floating hotels, with a large amount of power needed for entertainment, catering and general lighting etc. Since the transformers are so critical to the running of the ships HAL carry out regular checks on the fluid and this is where the MIDEL technical team is available to help. The team provides guidance about the interpretation of Dissolved Gas Analysis and fluid condition results from all the HAL MIDEL transformers, a total of 46 units. Then in conjunction with the transformer manufacturer, ABB Monselice, they provide feedback to the customer.